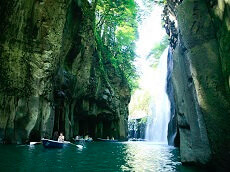 Miyazaki Prefecture is located in the Kyushu region and is home to Takachiho Gorge. Takachiho, a small town in Miyazaki, is located deep in the forest of Miyazaki away from the bright lights of the city and pollution. Here you can learn all about the legend of Amaterasu, the Shinto Sun Goddess, who escaped the cave after having been bullied by her brother. The dramatic finale to the story ends with a dance where the cave opens, bringing sun and life to the world. 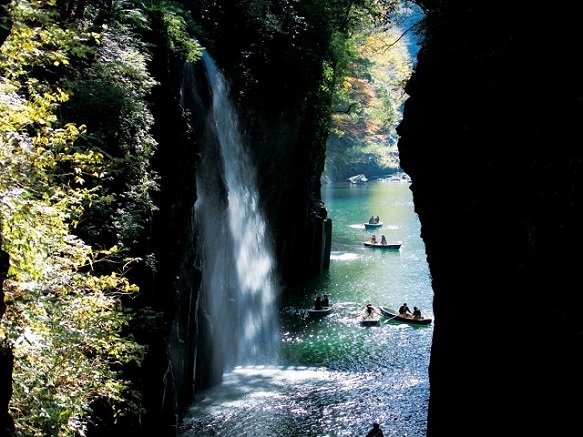 At Takachiho Gorge you can witness the gorgeous waterfalls and daunting rock formations that make this place a spiritual haven. 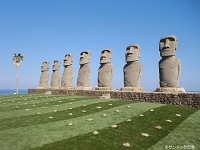 Another tourist site featuring aspects of Japanese mythology is Kirishima, an active volcanic mountain range. 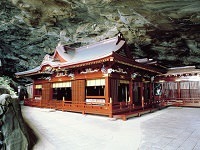 Kirishima is said to be where Amaterasu’s grandson was sent to rule and created the Japanese emperor lineage. 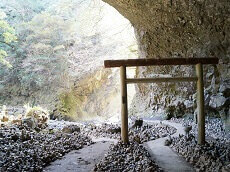 Although much of the hiking trails are currently closed due to recent volcanic activity, Kirishima is a popular destination for its mountains, hot springs and beautiful hiking scenery. 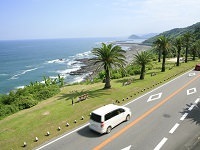 Miyazaki has several local dishes that have gained popularity outside of the prefecture as well. Chicken Nanban is a Western-style dish consisting of fried chicken marinated in vinegar then served with tartar sauce. The vinegar and tartar sauce give Chicken Nanban a sweet and sour taste. 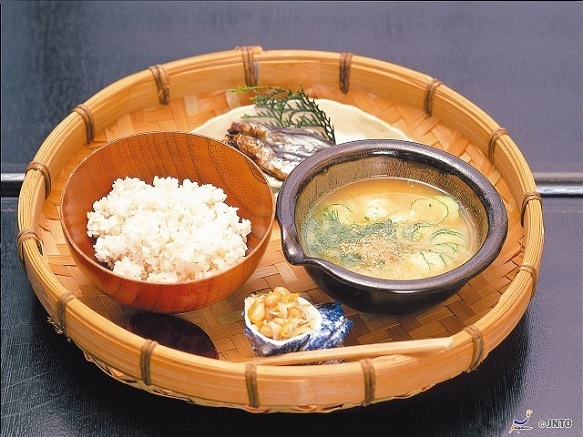 Another popular local dish of Miyazaki is “hiyajiru”, or cold soup. 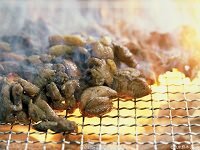 Hiyajiru is made by crushing grilled small fish and blending it with miso and sesame. Cucumber, shiso and ginger are commonly included in hiyajiru. 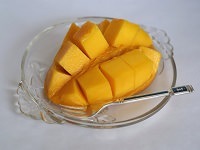 Hiyajiru is cooled before serving, creating a refreshing soup on a warm day. Hiyajiru is often served with rice, sometimes even over rice. 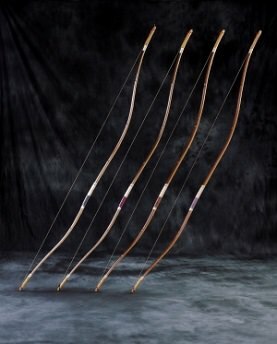 Miyakonojo, Miyazaki is the largest producer of Miyakonojo Daikyu or archery bows in the country. Miyakonojo Daikyu is said to originate back to the Edo Period and takes a true craftsmen many years to master the making of the bow. Miyakonojo Daikyu is created from bamboo and carved to the precise shape and design. The entire process of creating a Miyakonojo Daikyu involves anywhere from 200 to 300 steps, starting with harvesting the bamboo. Thankfully, Miyakonojo City is an area with abundant bamboo. 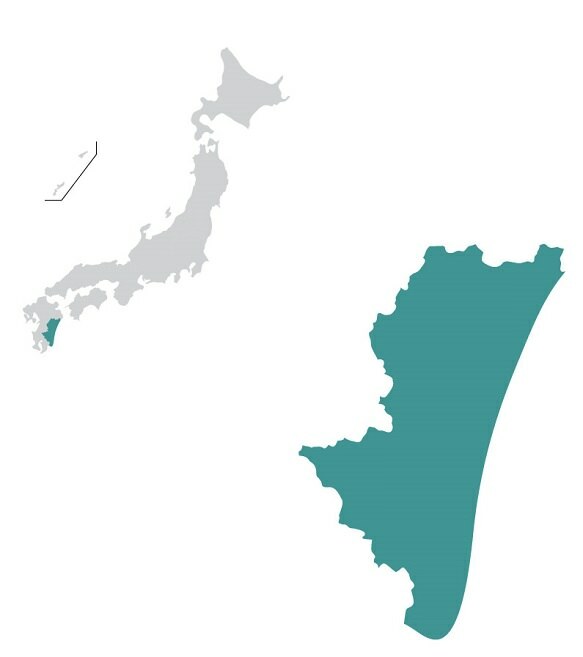 Thus it is not surprising that approximately 90% of bows produced in Japan are produced near the Miyakonojo area. The craftsmen must harvest a years worth of bamboo during November and December which are the prime months for bamboo harvesting. 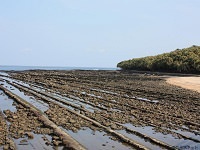 The bamboo is then cut, dried, roasted, cleaned, and carved again to the ideal shape. This extremely complicated process of creating a Miyakonojo Daikyu can only be mastered by patient craftsmen who can put ten years into creating a single archery bow. 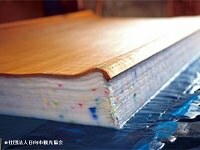 The Miyakonojo Daikyu was designated as a national traditional craft in 1994. Yokagura, or night kagura, is a dance performance to Shintoism. Kagura reenacts the escape of Amaterasu, the Sun Goddess, from a cave where she plunged the world into darkness. The story says that once she escaped, the cave opened, bringing sun and life back into the world. There are dozens of stories retelling how the goddess eventually came out of the cave. 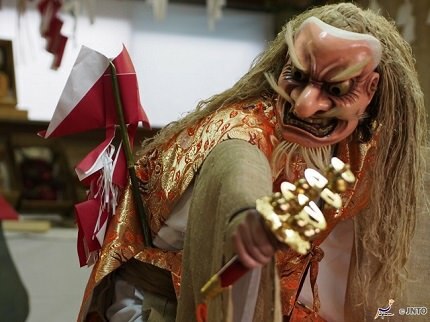 These performances are held throughout town but what makes yokagura unique is that these performances take place throughout the night until the following afternoon. 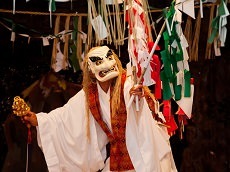 The story of the Shinto Gods and Goddesses are told through 33 dances and performances.